Dr. Najma Ghaffar Hospital Quetta Balochistan. 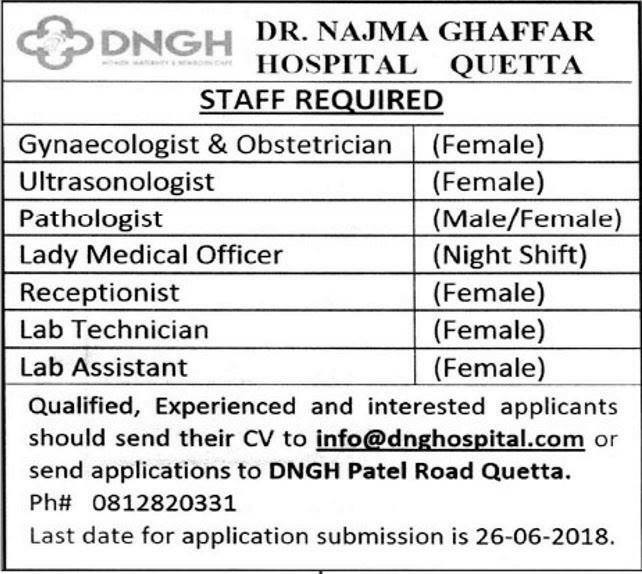 Qualified, Experienced and interested applicants should send their CV to info@dnghospital.com or send applications to DNGH Patel Road Quetta. Ph# 0812820331 the Last date for application submission is 26-06-2018.